Even by Mike Ashley standards, it has been one of the Newcastle United owner’s most controversial decisions, but manager Alan Pardew thinks the arrival of Joe Kinnear can help rather than hinder his summer transfer plans. Pardew has stayed conspicuously silent on his working relationship with the Magpies’ new director of football for weeks, even if it has felt like months. So on the day he finally broke that, he was in no mood to start rocking the boat. Equally, however, Pardew made it abundantly clear that “football is my business” and he will do everything he can to ensure Kinnear does not go treading on his toes. As far as most supporters are concerned, as a public relations move installing Kinnear as Pardew’s boss ranked alongside waving a red rag in front of a bull while ushering it into a particularly expensive and overcrowded china shop. Kinnear might have been a good manager in his day, with the trophies and ribbons tucked away in his loft to prove it, but his only spell in management these last nine years – a short-lived one at St James’ Park – made it seem to some on the terraces as if that day had long since been and gone. It is a debatable point but an irrelevant one because Kinnear has not returned as manager, but as director of football, a role which at first sight he appears less suited to. 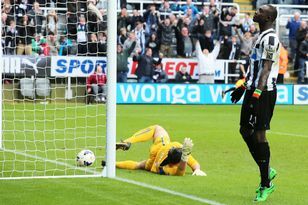 Some saw it as jobs for the boys, others as Ashley flexing his muscles by bringing someone in to keep an eye on Pardew. Few had anything good to say about it. Maybe the naysayers will be proved wrong, but Kinnear’s cringeworthy public utterances since he broke the news added to the impression that this is a car crash not even waiting to happen. Fans have attempted to cancel season tickets in protest but the man most directly affected is prepared to give Kinnear a chance – on his terms. Kinnear’s most high-profile task will be to strike transfer deals. It cannot have helped, then, to have appointed him during the off-season. Pardew may be diplomatically sanguine about the lack of new faces when he returned to the Darsley Park training ground this week but at the nearby Academy of Light they probably had to wear name badges there were so many. Sunderland also appointed a director of football in June but a raft of signings have followed Roberto de Fanti, whereas Kinnear appears to have started cold. Pardew is quick to shrug it off. “We are one of those clubs who find it difficult to move early,” he explains. “If you’re Manchester United, Arsenal, Chelsea you are sure you can do your business now (although) West Brom have brought (Nicolas) Anelka in, which is a good signing. It might not fit the anti-Kinnear narrative but the job of completing transfers was taken off then-managing director Derek Llambias, not Pardew. And for reasons he would only tantalisingly hint at, the manager thinks the mid-June disruption has actually helped his club in the market. “If I’m honest, I think it’s probably given it a boost,” he reflects. “I got on well with Derek and Derek did a fantastic job for this club. For whatever reason, I don’t want to go into details, that wasn’t working. It wasn’t working for Joe to be brought in. If Joe can get it to work and take this club forward then that’s good. “I’m comfortable in so much as Joe’s role will be to influence Mike in the decisions I think are important. Sometimes having somebody else with football knowledge could help and I hope that’s a positive. It doesn’t work too differently to how it worked before. The job for Graham (Carr, Newcastle’s chief scout) is to locate (players), we’re obviously after a striker, we’ve got four or five on our list that he feels could do the job. I have to consider what would fit into the team and also I have to consider finance. There is a but, though. A very big but. “The lines (of responsibility) are quite defined,” Pardew warns. “The football is my business. “It’s my job to manage this football team, these players and this group of staff to the best of my ability and that’s what I’m going to do. “I’ve got a seven-year contract (or rather that is how long left on his eight-year deal) to do that. Anybody who’s worked with me will know I work in a manner that I want to be positive and I want my team to certainly produce better performances than we did last year. NEWCASTLE United remain in the race to sign hotly-tipped Saint-Etienne striker Pierre-Emerick Aubameyang this summer.